By now you have been hearing about how many diseases can be prevented by simple dietary changes, right? And I know you have been wanting to make those changes and not gotten very far, right? For those of you who are making new year’s resolutions regarding your diet, this post is for you. Or if you are already a vegetarian or vegan, but you could benefit from a reminder here and there, then this post is also for you. Institute a “Meatless Monday” menu day (or whatever day you choose), where you eat vegetables, grains, beans or legumes as your main meal. Did somebody say 3-bean chili or veggie lasagna? Even though it is only one meal, it adds up on a weekly basis to get your tastebuds onto the meatless track. Nattral.com founder Afya Ibomu recommends the “Salad-a-Day” plan in her book The Vegan Soulfood Guide to the Galaxy . Simply put, our bodies need the many minerals and abundant fiber found only in raw vegetables, and what better way to pump up the volume than in a salad? I much prefer homemade salad dressing to store bought, and it is soooo easy to make. Just mix your fat (olive oil, safflower, sunflower, etc.,) with your acid (apple cider vinegar, freshly squeezed lemon or lime juice, etc;). Then add your fixins (freshly minced garlic, small bit of almond or sunflower butter, fresh ginger, etc..,), your spices (smoked paprika, onion or garlic powder, fresh basil or thyme). Another option is to add a bit of sweetener (maple syrup, honey, agave if you prefer). The healthy fats in coconut oil and coconut milk do wonders for nourishing our bodies, and in turn, reducing our food cravings. Food cravings generally arise when the body (or emotional body) is tapped out, run down, and in need of nutritional support in the form of REAL FOOD. The coconut is a real food, eaten for thousands of years, by real indigenous people in tropical climates/cultures worldwide. It seems as if our friends in warm climates already know how vital water is to regulating body functions, especially for preventing overheating. Unfortunately for those of us in the freezing zones, we often neglect our water consumption during the winter. If you are living in any part of the world that experiences the frigid cold months of winter, you know how drying the cold climate can be. The dryness of the air can actually reduce the moisture in our skin, and the only way to put it back is by drinking water. 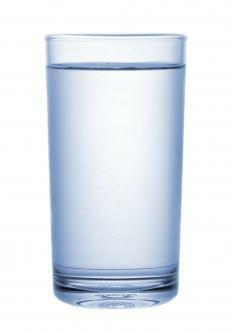 No matter how many hydrating creams you use, there is no substitute for drinking water. Water is the universal solvent, and assists our bodies in flushing out unwanted toxins from our bloodstream and organs. Try this exercise I learned during a hip-hop recording session with Blue Pill Paul “PMoorpheus” Moreland of Ocean14Corp.com and Know the Ledge Radio fame: Start with a gallon of water. Stop and think for a few moments about what values, principles, and characteristics you would like to embody. Say each word out loud 7 times while tapping the container of water simultaneously. If using a plastic gallon jug, use a permanent marker to write the words directly on the bottle. If using glass, write them on a piece of paper and tape it to the container. Drink the water throughout the day, knowing that you are ingesting the positive qualities of whatever words you have written on the water. Dope right? I know! If you are doubting if it really works, that’s okay. I say try it to prove it to yourself. If you are still not convinced by the end of the gallon, AT LEAST YOU DRANK A GALLON OF WATER! A good guideline for water consumption is to write your body weight out as ounces, then divide the number by 2. For example, if you weigh 150 lbs, think of it as 150 ounces, then cut that in half to get 75 ounces, and that’s how much water you should drink daily. Well, its been fun leaving these tips for you. The next Oasis Thinking blog post will conclude my 8 Power Moves for transitioning from a meat-based to a plant-based diet. See you then! And if you haven’t already done it, please sign up to follow the blog so you never miss a post. Great advice! I have been thinking a lot about water lately! Do you know about Dr. Emoto’s studies on the hidden messages of water? I think you’ll love this! Yes, Dr. Emoto’s work really makes so much sense, especially now. I also think “Your Body’s Many Cries for Water: You Are Not Sick, You Are Thirsty!, Don’t Treat Thirst with Medications!” by Fereydoon Batmanghelidj is LEGENDARY!